A cursory glance at popular internet memes seemingly suggests that Skyrim’s “arrow to the knee” meme has been eclipsed by Skyrim re-release jokes. Since the game’s initial launch on PC, PlayStation 3, and Xbox 360 in November 2011, it’s been ported to a number of other platforms. PlayStation 4, Xbox One, and Nintendo Switch constitute the title’s main re-releases. However, other versions exist as well. For instance, many VR units support the game, including PlayStation VR and Oculus Rift. Following the E3 2018 parody video, a version of Skyrim also launched on Alexa. 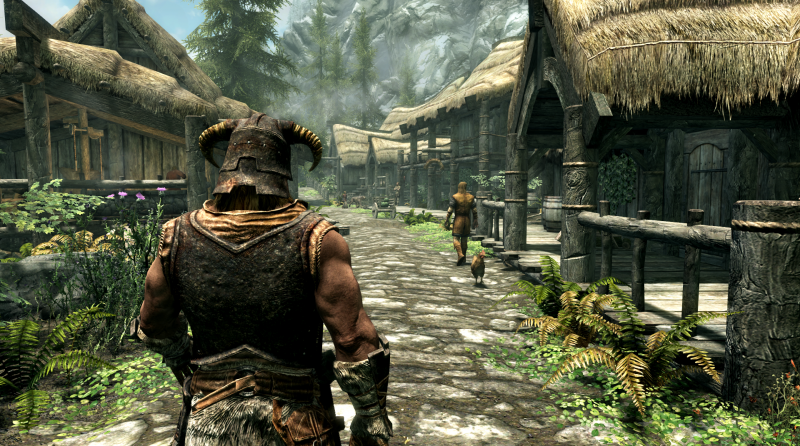 So when will Bethesda stop porting this seven-year-old game to new platforms? According to director Todd Howard, when people stop buying it. Fallout 76 marks the next time players will launch themselves into a new iteration of one of the studio’s sustainable worlds. The game hits PC, PlayStation 4, and Xbox One this fall on November 14.